The Heat opened as 4-point favorites at the LVH SuperBook for Game 3 of the NBA Finals, as the series shifts to Miami tied at a game apiece. The opening total is 198. With the Heat wresting home-court advantage away from the Spurs with Sunday night’s win in San Antonio, they’re now the favorite to win the series, listed at -150 at the LVH. The Spurs are offered at +130. The South Point opened wagering on Game 3 on Saturday evening, according to Vegas Insider, hanging Heat -4.5 as its opening number. When the book reopened the game Monday morning, Heat -4 was its line. William Hill opened Game 3 at -4, but moved to -4.5 about 15 minutes later. Check current Game 3 point spreads and totals from around Las Vegas on our live odds page. It’ll be difficult for trends-based handicappers to go against the Heat. Miami is 8-0 SU and 6-2 ATS at home this postseason. The Spurs are 3-5 SU and 2-6 ATS on the road in the playoffs. The only times they’ve been a dog this postseason, though, were the three games in Oklahoma City, where they went 1-2 SU and ATS. San Antonio was 5-5 ATS as a dog this regular season, one of those losses coming in Miami, when the Heat covered as 3.5-point favorites in the 113-101 win. 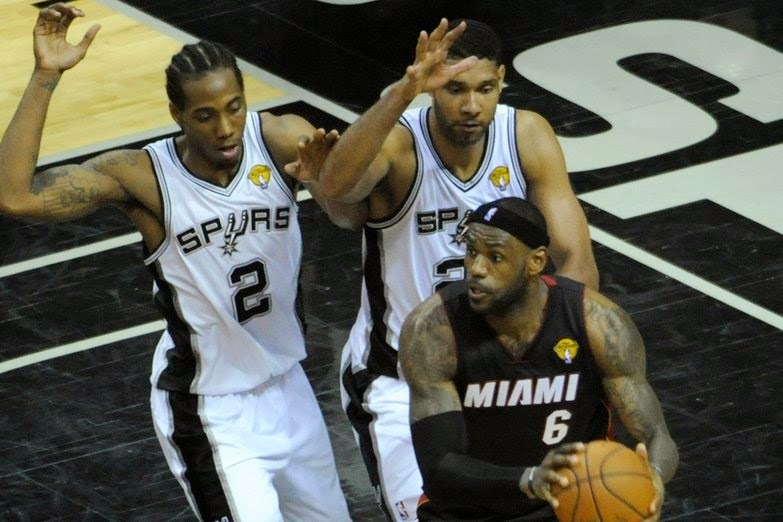 Kawhi Leonard, who is often assigned to defending LeBron James, did not play in that game. In last year’s Finals, the Heat went 3-1 SU and 2-2 at home against the Spurs. They were asked to lay bigger numbers in that series than the opening number for Tuesday’s tilt, as the point spreads ranged from -5 to -6.5.